515 p., 15,6 x 20,9 cm. With contributions by Mariano Alvarez-Gomez, Gabrielle Baptist, Myriam Bienenstock, Wolfgang Bonsiepen, Marina Bykova, Jacques D'Hondt, Klaus Düsing, Hans Friedrich Fulda, Franz Hespe, Hans-Christian Lucas, Angelica Nuzzo, Adriaan Peperzak, Otto Pöggeler, Udo Rameil, Klaus J. Schmidt, Helmut Schneider, Burkhard Tuschling, Renate Wahsner and Norbert Waszek. Can a work which is mainly supposed to be a handbook for lectures give an adequate account of the concepts of logic and phenomenology presented in the corresponding books by providing only the abbreviated versions? How can one evaluate the changes in regard to the introductory function of phenomenology? And in conclusion how can one interpret the parts of the system of natural philosophy and the philosophy of spirit, which have only otherwise been handed down to us as lecture notes, in the overall context of the system? 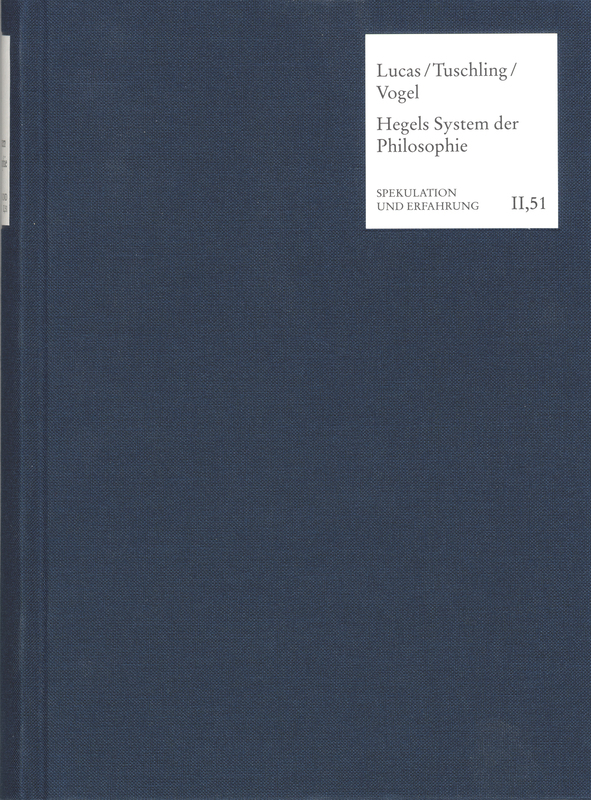 These are just some of the questions dealt with in this volume, which at the same time provides an extensive introduction into the problems of Hegel’s system and its individual parts.